Not to beat a dead dog, but…. 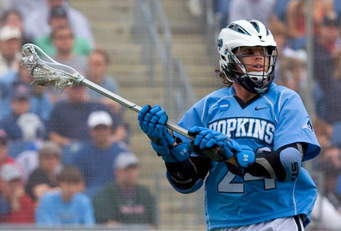 During the Johns Hopkins/Loyola lacrosse game, the sports commentator was not wanting to repeat an earlier observation but did anyhow and prefaced the remark with this malaphor. It is a mash up of “don’t beat a dead horse” (don’t wasted time repeating or saying something that has already been attempted or said) and “let sleeping dogs lie” (leave something alone that may cause trouble). Dogs and horses, and sleeping and dying seem to get confused a lot. Another example of this is “let dead dogs sleep”, one of my earliest malaphors, posted in January 2013. https://malaphors.com/2013/01/02/let-dead-dogs-sleep/ A big thanks to Jim Kozlowski for hearing this one and passing it on! Not to beat a dead dog, but if you haven’t read my book on malaphors, “He Smokes Like a Fish and other Malaphors”, you need to! It’s available on Amazon. Just click on this link: https://www.amazon.com/dp/0692652205. They’re flying like hotcakes!